A banana-like yellow fruit grown throughout Southeast Asia. Canned jackfruit is often served as an appetizer in a large bowl with ice cubes. We offer a premium quality jackfruit in Aroy-D brand, noted as the finest in Thailand, packed in easy to open pop lid. 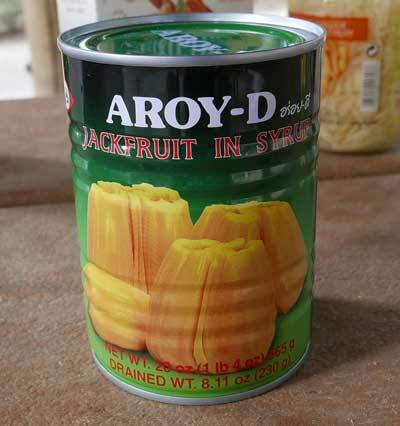 This is the best canned jackfruit on the market. Ingredients: water, jackfruit, sugar, malic acid. Product of Thailand.